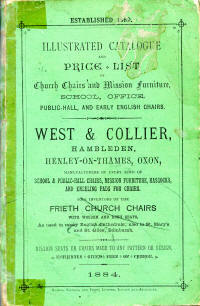 [ I have found some catalogues produced by West & Collier amongst my late mother's files and Derek Collier has kindly loaned me several more which show what a huge range of products was eventually available from our local industry. 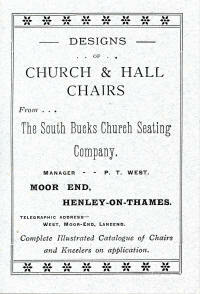 I have now scanned all these in and I thought it best to create a page so that they can be seen all together. 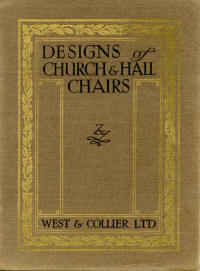 West & Collier were in business from 1869 to 1940. 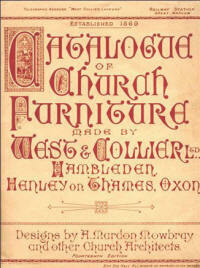 This collection of catalogues spans 1872 to 1911. 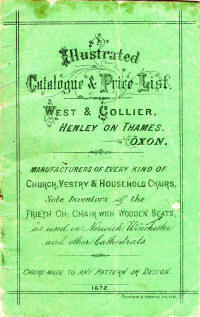 Up to 1907 the catalogues get larger in format and have more pages - I suppose to reflect the increasing range of products available. 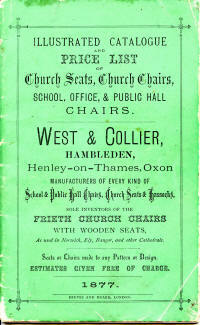 As far as is known all the wooden furniture and carving work was made in Frieth. 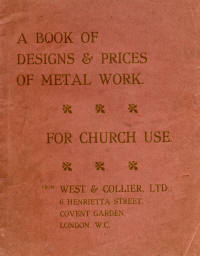 Metal and stone work would have been bought in from other suppliers. 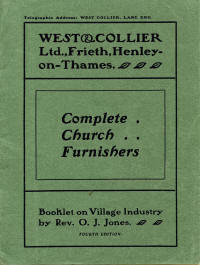 Telegraphic Address "West Collier Lane End"
The catalogues contain testimonials from the clergy and others received from Reverend Gentlemen and many others reflecting sales to churches, church halls etc from Norwich to Cork and from Inchture to Duloe. Lord Kinnaird, Rossie Priory, Inchture, N.B.